Terramac expanded its representation in the North American market to include Bobcat of St. Louis as part of its dealer network. Bobcat of St. Louis will represent the Terramac product line across designated regions of Illinois, Indiana, Missouri, Kentucky and Tennessee. 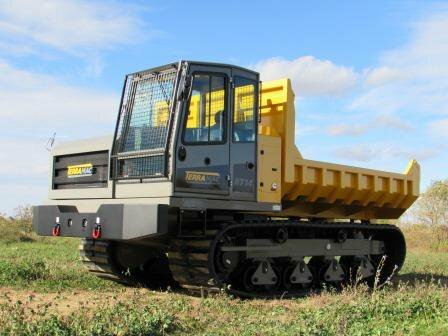 Bobcat of St. Louis will offer the Terramac RT9 and RT14 crawler carrier units to serve a variety of industries including pipeline, utility, general construction, environmental and mining. In addition to a standard convertible dump to flat bed or rock dump bed, Bobcat of St. Louis will also offer a wide range of customizable support attachments, which Terramac units are designed to accommodate, such as: bark blowers, hydroseeders, cranes, drills, generators and tanks. The team at Bobcat of St. Louis will provide professional sales, rental and support on the Terramac product line from their eight locations across Missouri, Illinois, Indiana, Kentucky and Tennessee.